Corey started hunting at the early age of 6 pursuing waterfowl and small game. It wasn’t until he was 12 when he discovered his passion for archery. At the age of 16 he took to the tree stand and has been primarily a bow hunter ever since. He has worked for numerous pro shops as a bow technician and has a love for helping others. 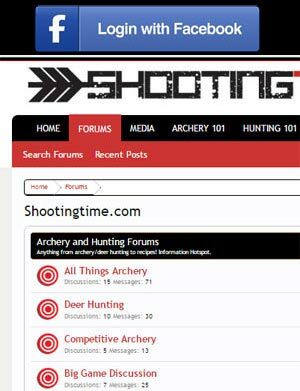 As the creator of shootingtime.com, he strives to help others by improving their knowledge on all topics related to archery and bowhunting. Corey enjoys the outdoors, sports, web mastering, competitive archery, digital video and photo editing, and photography. 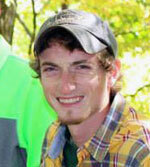 Brennen grew up hunting the rolling hills of west central Wisconsin near the small town of Sparta. His dad introduced him to the outdoors at a very young age, and he will never forget the first time him took me along on a spring turkey hunt. It wasn’t long before his parents bought him his first bow and he was burning the strings off of it on the range. Every one of us have a passion that, in one way or another, consumes us. It consumes the way we think, it consumes the way we live our day-to-day lives. For Brennen, this passion has become big whitetails. In 2013, he packed up and moved away from his family and everything he had ever known in Wisconsin and moved to Iowa. 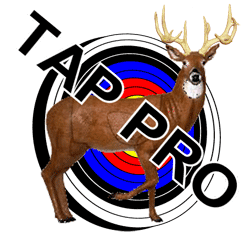 He did this for one reason, simply so he could get his hands on the coveted Iowa archery tag every season. From summer scouting all the way through picking up sheds in the spring, Brennen spends the entire year with whitetails on the brain. Alex is one of the youngest and most successful archers in the world. This Mathews Pro Staffer holds 4 world records, many national titles, and was the Vegas world champion of 2015. Wifler started his career as a competitive recurve archer with Olympic dreams until he broke his hand. This unfortunate occurrence led him to taking up the compound bow which was bad news for the competition. Alex has been one of the most dominating forces on the the professional circuit with numerous wins/championships including the 2015 Vegas Shoot and the 2016 Lancaster Classic. Under the coaching of his mother Chris Wifler, Alex is willing to do what it takes to be the best at his level. 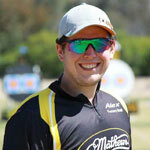 A true ambassador to the sport, Alex joined our team in 2016 to develop our Competitive Archery/FITA section and to deliver blog posts on shooting tips that he thinks will help target archers across the globe. Shawn was introduced into the outdoors by his father, and like most kids, he began hunting small game. It wasn’t until he was in his teens that he grew an interest towards bow hunting. After becoming an accomplished whitetail trophy hunter, Shawn took to some new challenges; hunting the wild west. Shawn has bagged elk, mountain lion, mule deer, and numerous other big game animals of North America. He trains physically all year and works on the mental aspect of the sport too. Shawn claims having a mental advantage and the ability to formulate a strategy that works in the field is the key to bagging trophies. Shawn’s main goal these days is to help his son Cole become a respectful and accomplished hunter and to help out others on shootingtime.com. Jason was blessed to grow up in a family that loves to hunt, trap, and fish, so it was just natural for him to take up these sorts of activities. Some of his earliest memories are at his family’s property watching and wanting to hunt mourning doves or cat fishing at night. As soon as he was able to draw a bow he started to shoot with his father any chance he got. Jason remembered his father going on bear hunts to Canada and not understanding why he couldn’t go. This is when he believes he got hooked; from that point on he was a hunter. Jason is currently a field staff member for PSE and a prostaff member for Black Eagle arrows. Jason has spent the last 3 years working as a bow technician. Cody was born into a family that was always involved in the outdoors. He grew up a big duck hunter and fishermen. Cody was introduced to bowfishing when he was about 13 years old. The creek behind his house would flood into a field when there was a good rainfall and this created an awesome bow fishery. The shallow water was filled with carp and Cody quickly became hooked on bowfishing. Today, at 21 years of age he participates in all sorts of bowfishing tournaments around Illinois. In 2014 Cody’s bowfishing team took third in the Illinois Bowfishing State Tournament and were named the 2014 Illinois Bowfishing Team of the Year. 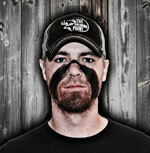 Cody’s team was also noticed by Toxic Bowfishing and asked to be part of their pro staff. As part of shootingtime.com team, Cody plans to author reviews on new and upcoming products in the bowfishing world as well as field any bowfishing questions from shootingtime.com’s visitors.